Dr. Sarah Yeh received her Bachelor of Commerce degree from the University of British Columbia, and Doctor of Optometry degree from the State University of New York, College of Optometry. She is a member of the Golden Key International Honour Society, and finished her internship training at Woodhull Medical Center in Brooklyn, NY, and the Wenzhou Medical College Hospital in Wenzhou, China. Dr. Yeh has served on volunteer missions with the Volunteer Optometric Services to Humanity to provide free eye care and glasses in underprivileged areas in Peru and Romania. 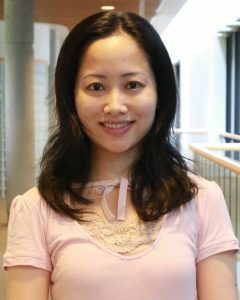 She has practised in the Lower Mainland since 2012, and is fluent in English and Mandarin. Dr. Yeh welcomes new and returning patients at Vision West, and strives to fulfill all their eye care needs.